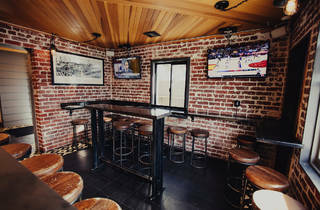 Santa Monica’s new drinking room takes gin and tonics to another level. What can you really do to a gin and tonic? A helluva lot, it turns out. 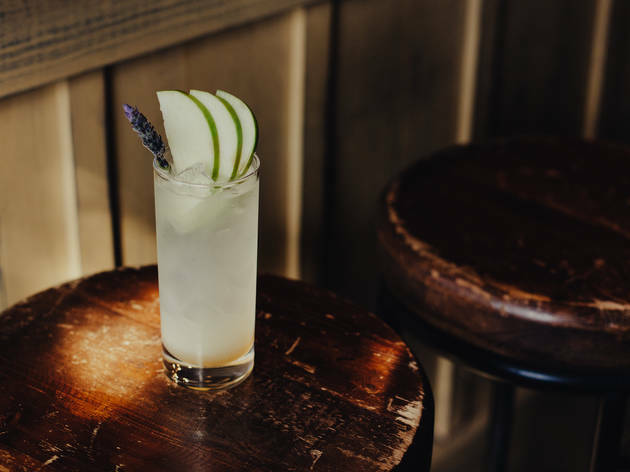 Angelenos can now discover the dazzling dexterity of this classic cocktail at Brick Bar, L.A.’s first watering hole solely dedicated to G&Ts. 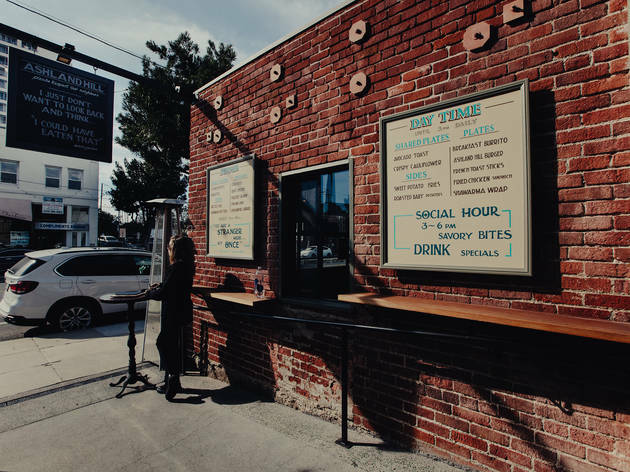 Less a bar and more of a nook, it’s a brick alcove attached to the front of Santa Monica’s Ashland Hill restaurant and biergarten. Veteran mixologist Vincenzo Marianella surveyed the gin and tonic fever sweeping Europe and emerged from his lab with nine groundbreaking recipes. 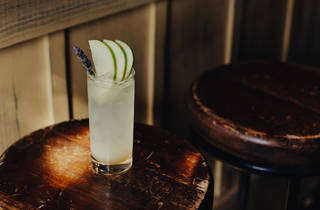 From savory to sweet, his cocktails vary wildly in ways that will appease to a variety of gin preferences—and maybe even convert some gin skeptics. 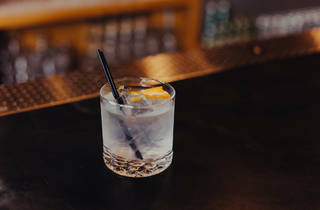 A brief history on the drink: Once British mercantilists discovered that adding gin to tonic cut each other’s bitterness, the anti-malarial elixir morphed into one of the world’s most classic libations. Modern bartenders now unleash the full potential of these two surprisingly versatile ingredients. By varying gin’s botanical profiles, flavoring tonic and adding berries, bitters, garnish, syrups and twists, Marianella and his colleagues are pushing this time-honored drink to the limits. 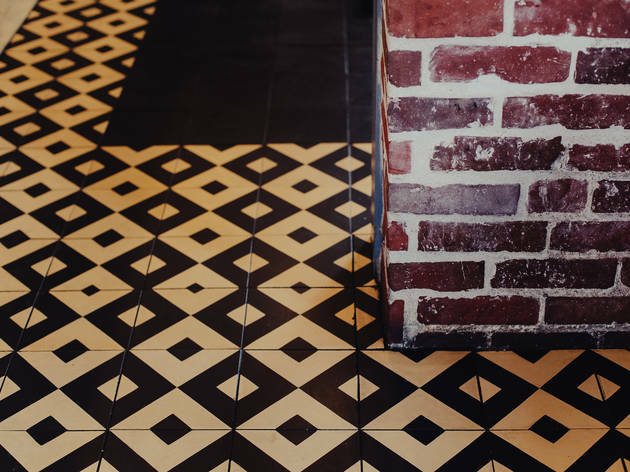 Whether you’re a newbie or a lifelong G&T drinker, head to Brick Bar to experience the cutting edge of a gin and tonic revolution. 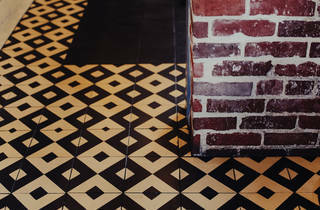 Good for: Brick Bar is perfect for a small group that wants a break from the crowded Westside bar scene. 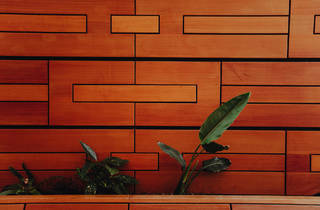 Bring close friends with whom you can sample a variety of botanical creations. 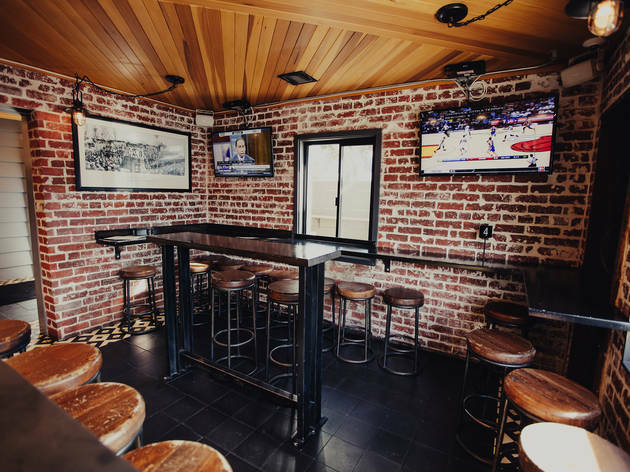 Additionally, if your team is playing on TV during social hour (3-6pm), Brick Bar can accommodate with three flat screens and drink prices that ease from $14 to $6. 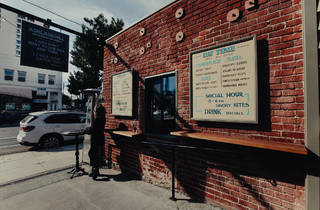 The scene: The space is casually intimate in the extreme. If each of the room’s 20 stools were occupied, it would feel like a fire hazard. The upside is such proximity facilitates G&T bon mots with your co-patrons. Exposed brick dominates the room, reggae dominates the playlist and a wide window looking onto Main Street provides endless people watching. Short stools dot the perimeter of the room while a plank of wood with four seats constitutes the room’s centerpiece high table. 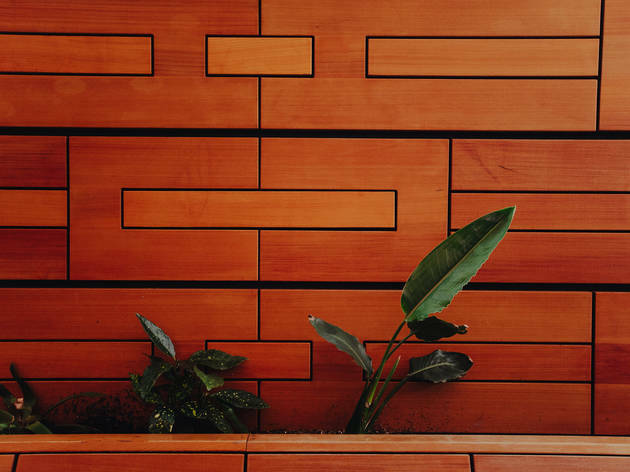 The arrangement is unorthodox and slightly disorienting, but it offers the choice of facing the central hoopla or gravitating brickward for private conversation. 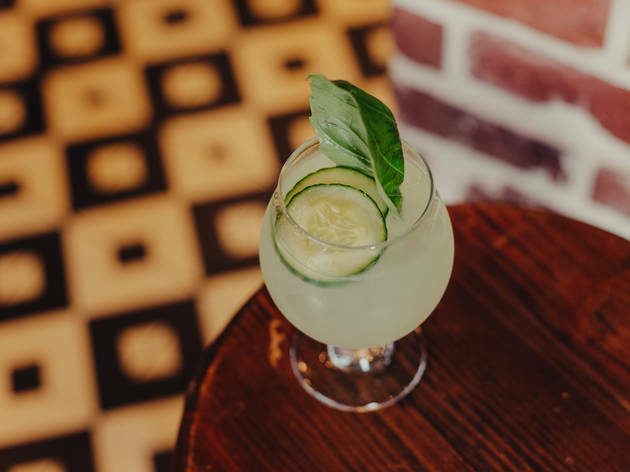 Drink this: When planning your G&T adventure, opt for the S.S. Rex ($14), a standout drink made with Cap Rock organic gin, honey ginger syrup, fruit juices, lavender and basil that absolutely nails the balance between sweet and savory. 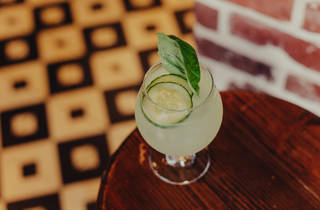 For a purer botanical blend go with the Cheetah Room ($14), where lime juice bolsters rather than overtakes the cucumber juice and celery bitters accentuate the true nature of Hendrick's gin. 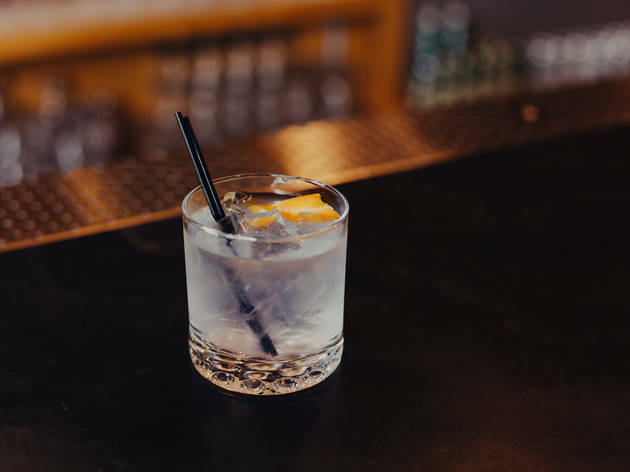 The J-Snap ($14) is a no frills, see-through blend of Fords gin and vodka with a solitary orange peel that just might lure you away from old-fashioneds. 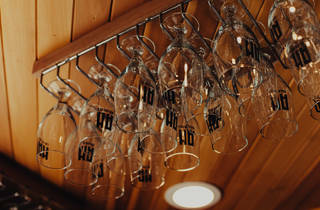 Brick also offers a rotation of craft beers on tap and a bevy of small production wines. 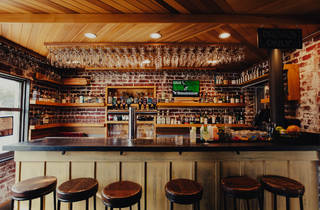 Our tip: Ashland Hill’s excellent food (with gluten free items) is also available to Brick Bar patrons. Hint to bacon lovers: breakfast sandwich! 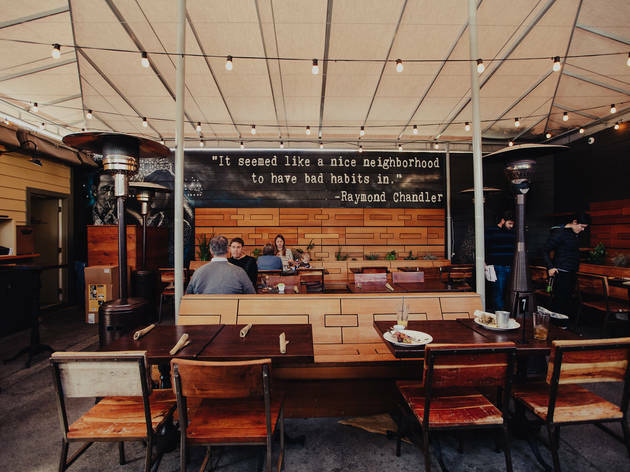 If you work in the Santa Monica area, this is a pretty neat place to grab a drink with a small group of colleagues after you leave the office. 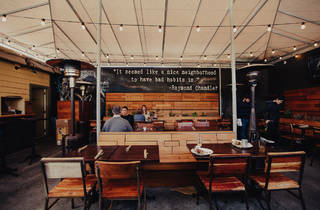 The space is pretty small, but still has a welcoming and laid back vibe on the patio particularly. 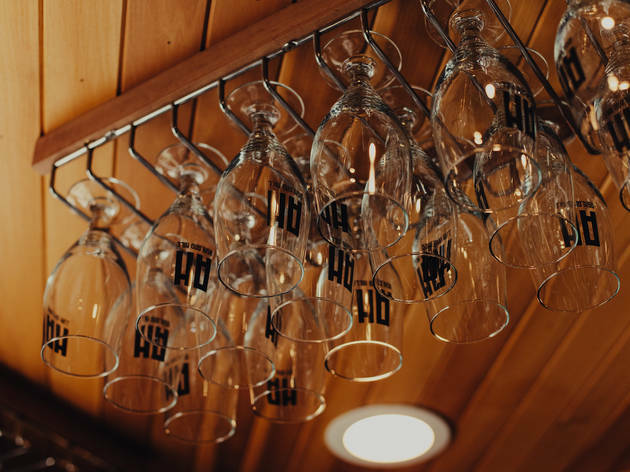 The drink options are pretty vast and well-crafted, and there are some food choices available as well. 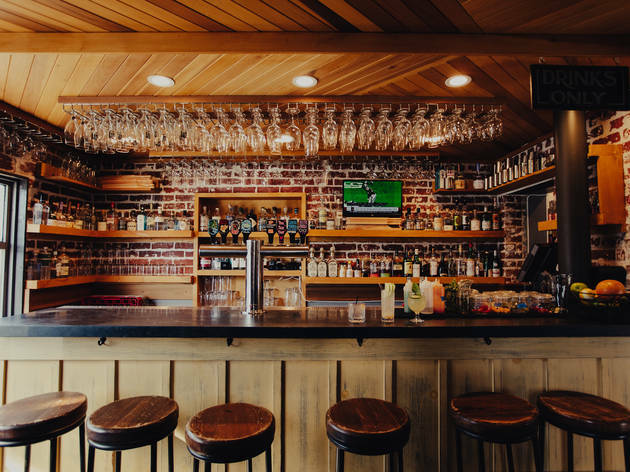 I don't think it's a place where you'll want to spend the whole night, but it is pretty close to some other solid bars on main & a good place to start your evening at or have as a stop along the way.